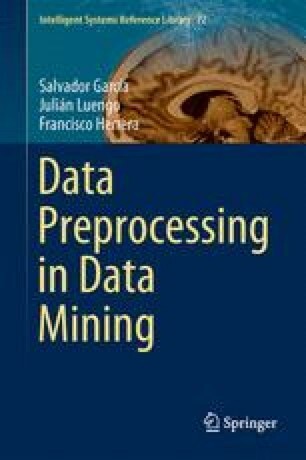 The most common tasks for data reduction carried out in Data Mining consist of removing or grouping the data through the two main dimensions, examples and attributes; and simplifying the domain of the data. A global overview to this respect is given in Sect. 6.1. One of the well-known problems in Data Mining is the “curse of dimensionality”, related with the usual high amount of attributes in data. Section 6.2 deals with this problem. Data sampling and data simplification are introduced in Sects. 6.3 and 6.4, respectively, providing the basic notions on these topics for further analysis and explanation in subsequent chapters of the book.